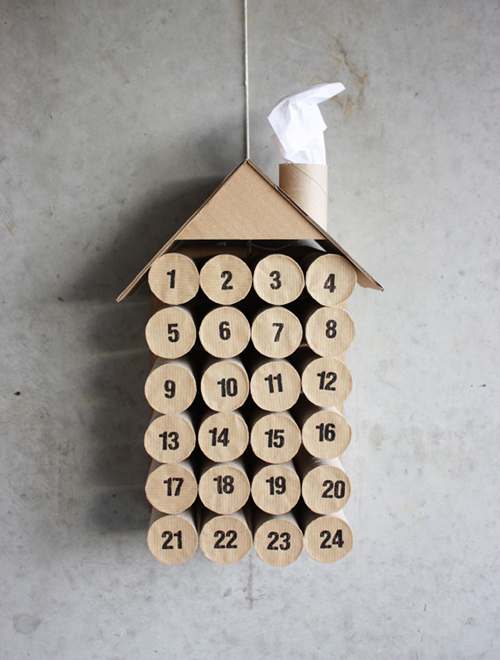 Today I’m loving … this advent calendar made from toilet paper rolls and cardboard. And you don’t need to wrap the calendar gifts, you simply lock them inside the rolls. Find out how to make this calendar on Morning Creativity. Something wrong with your link? Can’t go to Morning Creativity. hello: I am trying to make a bracelet out of toiletpaper rolls with metallic zebra/leopard paper. But, I don’t know where to start. Please, please help me. Thank you sooooooooooo much!